The United States Mint emailed notice at 11 am on Thursday morning that due to recent increased demand, the Mint has temporarily sold out of its inventory of 2018 American Silver Eagle bullion coins. All orders received prior to the notice would be shipped. The Mint’s bullion program has experienced a sharp downturn in demand since the 2016 election. 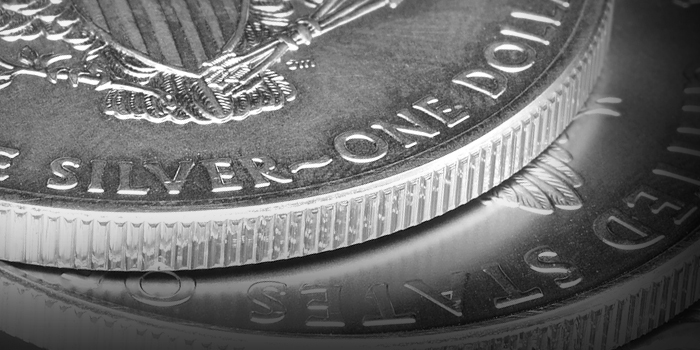 After reaching a peak of 47 million bullion coins sold in 2015, the Mint has experienced dramatic year-to-year sales declines for the 30-year old silver bullion coin program. The 2017 sales figure of 18,065,500 was the program’s lowest since 2007. To date, the U.S. Mint has sold 10,275,000 2018 American Silver Eagle bullion coins and is on pace to fall short of its 2017 sales figures by 3,000,000 coins. In its communication to editors, the Mint said that it had informed authorized purchasers that it was “in the process of producing additional 2018 American Silver Eagle Bullion Coins” and would make these coins available soon. 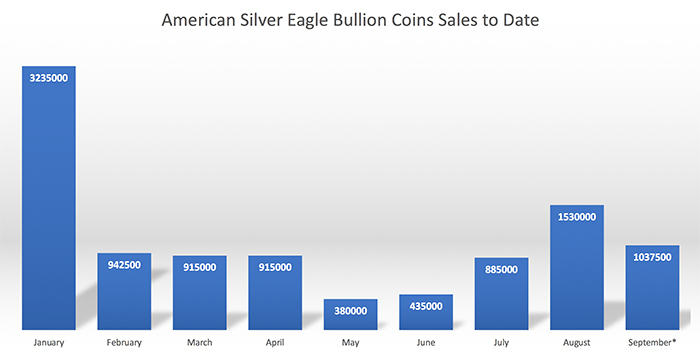 The recent surge in sales for the American Silver Eagle bullion coin mirrors similar demand for American Gold Eagles. Even with the increased summer demand, sales projections for each denomination of the Mint’s gold bullion program is tracking below 2017 sales totals. The recent surge could push the quarter ounce coin ahead of 2017, but the one-ounce, half-ounce, and tenth-ounce gold coins have a lot of ground to make up to match the Mint’s disappointing 2017 sales numbers. One bright spot, the Mint has seen a 50% improvement in its sales of the American Platinum Eagle.